One of the many posts I received for my last birthday still stands out to me- “Drive this year like you stole it, ’cause you did.” Even as life settles back into a more familiar rhythm, this idea sticks with me. Today felt a little like we stole it– or perhaps, like we got far more than we expected to get. So I live in Montana and it’s January. Ice climbing, powder skiing, and winter camping debauchery are the expected activities, but when you have the right partner and a little bit of beta, sometimes you can get far, far more. So that’s what we did. Off the couch, onsite (for me), Steve and I enjoyed four glorious, warm, sunny pitches of bolt clipping and having fun (5.10b, 5.10d, 5.11a, 5.9). We rapped back down about 20 minutes before the sun dropped behind the ridge. 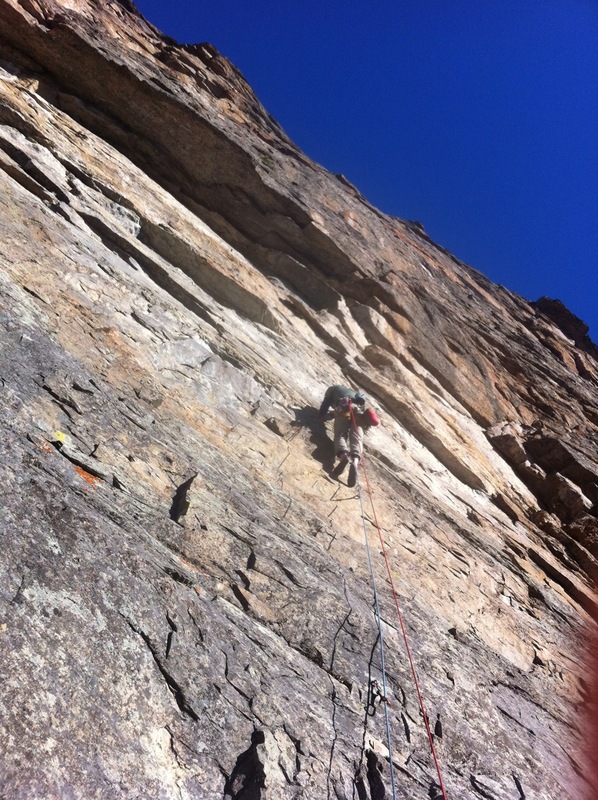 Steve making the most of the ledge atop pitch 3. 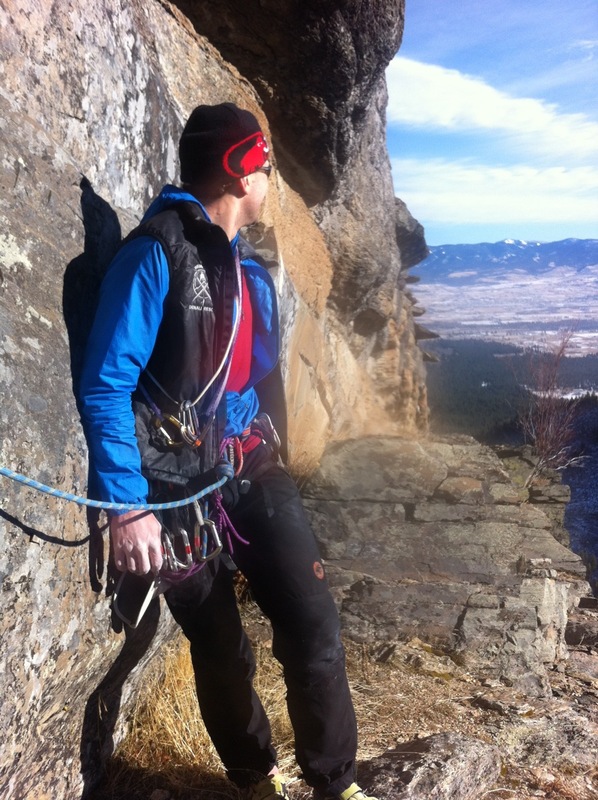 Nice work on the crux buddy! I got out of work, the weather was good, had a solid partner and beautiful terrain just an hour from my door? Feels kinda like we stole it…. or got far more than we deserved. 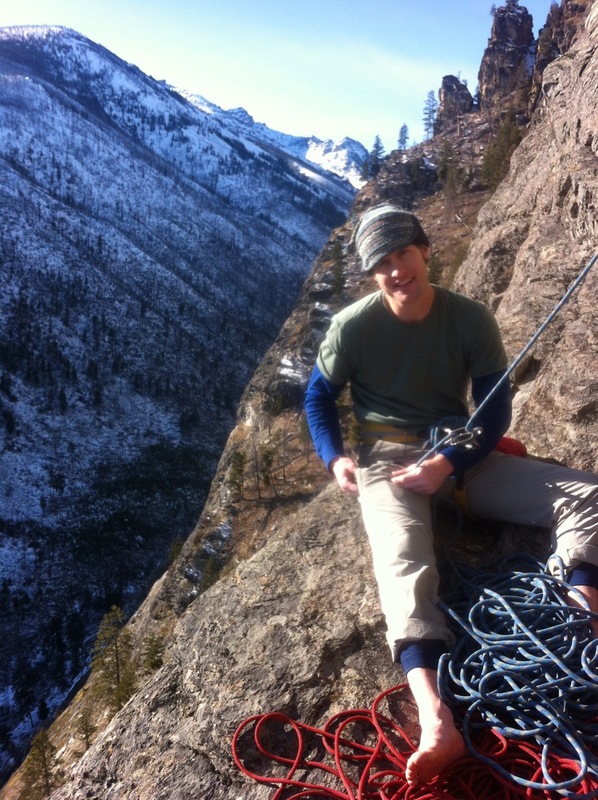 I feel especially fortunate to have met Steve, who seems to be my favorite type of climber- smart, strong, and motivated, but who still puts having a good time at the top of the priorities list. Thanks dude. Winter in Montana isn't all dark and cold after all. 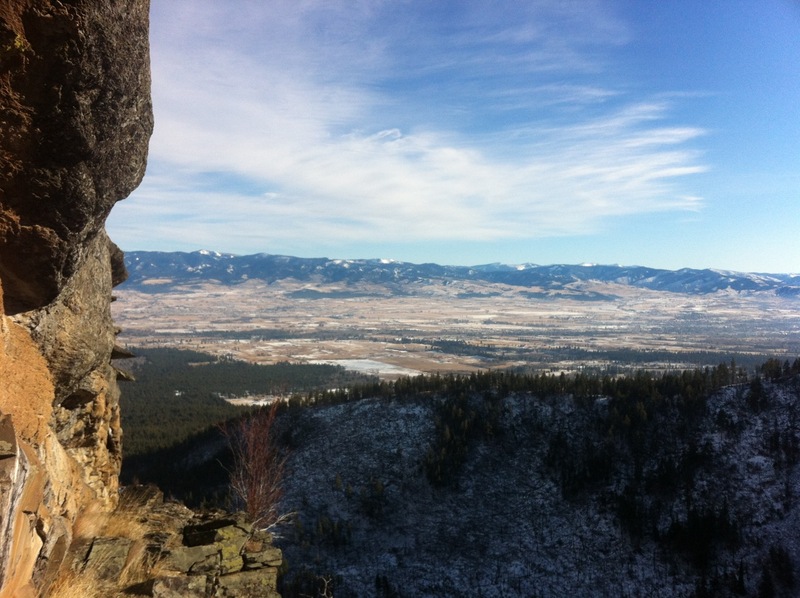 This entry was posted in Missoula, Rock Climbing on January 13, 2012 by sticker1. glad to see that you got out, so envious! today i pulled on plastic for one of the few times since i enrolled in death march 2011-2014, i mean m.arch… keep runnin’ i hear the cops.